HOW IT WORKS: All #1 OPM and International songs of 2014 were included and ranked according to the longest stay at the No. 1 spot. In case of a tie, the basis will be the number of days of the song on the chart. The basis for MPS Year-End Countdown 2014 is the Daily Top 10 chart. The cut-off period is from the first charting week of January 2014 until the week of December 20-26, 2014. See the reactions and comments of fans on our MPS Year-End Countdown Best of 2014 result below! Post by Most Played Songs. Congratulations again to Taylor Swift for bragging the MPS Year-End Countdown Best of 2014 best song for "SHAKE IT OFF". Spending 69 long days on the chart and a whopping 40 days on the No. 1 spot! Aside from that, she also has another song on which is "BLANK SPACE" at 7th spot. She was also crowned the best song for "SHAKE IT OFF" on Inter Top 10 MPS Year-End 2014 and Weekly Top 20 MPS Year-End 2014! 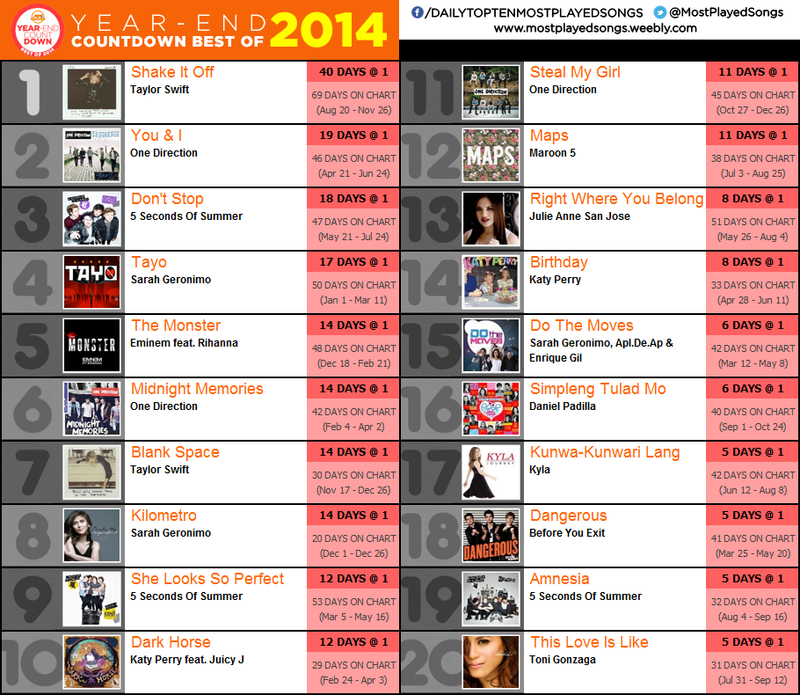 Taylor Swift really slays the MPS Charts for the year 2014! 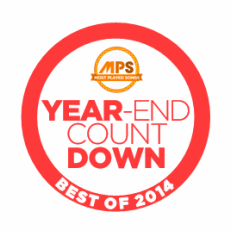 Again, congratulations to all who made it at the MPS Year-End Countdown Best of 2014! Thank you for making 2014 a very good year in the music scene!